Once a month, 10:50 a.m. Lunch with the Pastor is a free monthly meal prepared by CUMC volunteers during the school year for any student at the Escanaba High School. Pastor Elise and the crew welcome and interact with the students to let them know they are valued and that Central is a safe place for them. Cookies and bars as well as additional hands are always needed. Check this month's schedule for the date. One Monday in the fall and spring, 5:30 p.m. 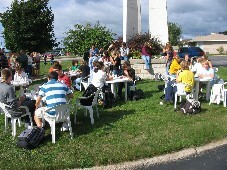 The congregation provides dinner to the students and staff of Bay College at the invitation of the Bay College Campus Ministry. Volunteers are welcome to help prepare and serve food, then enjoy dinner along with the students. To assist those in need through the Salvation Army Food Bank, please bring nonperishable items to our pantry in the Narthex. The number of families who need the aid of food assistance programs is increasing locally due to rising food costs, fuel costs and home heating prices. CROP Hunger Walks across the country raise money for hunger programs locally and world-wide. Walkers obtain pledges from family and friends, then choose a 1-mile, 3-mile or 10K walk. 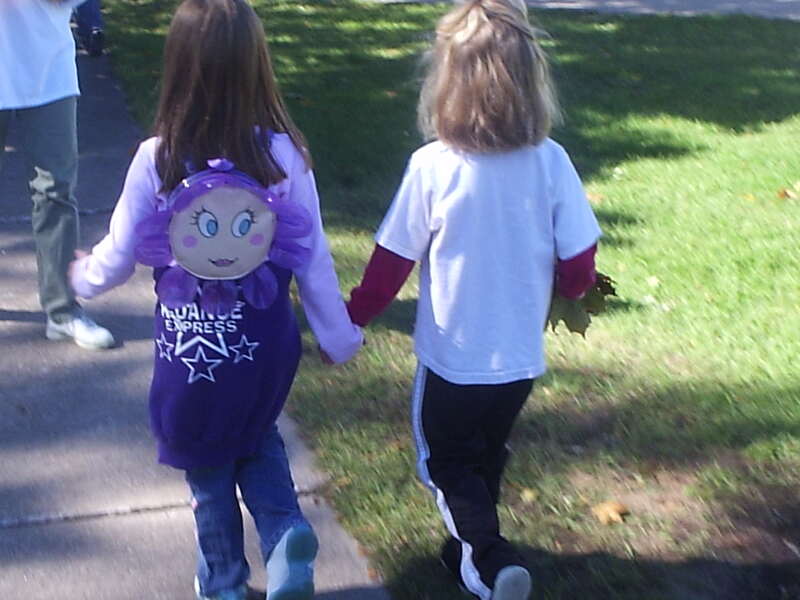 In Delta County, the Salvation Army, St. Vincent de Paul and Voices for Youth benefit from money raised through our CROP Hunger Walk. International projects include CARE, Heifer International, and Project HOPE. See the Church World Service Website for more information about CROP Hunger Walks. Check the church schedule for this year's date and time. Central raises money each year for Michigan's Methodist Children's Home Society through a monthly "Noisy Offering" and Sunday School offerings. 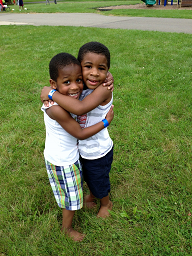 The Methodist Children's Home Society helps hundreds of children each year by providing safe havens, creating forever families, and raising responsible young men. 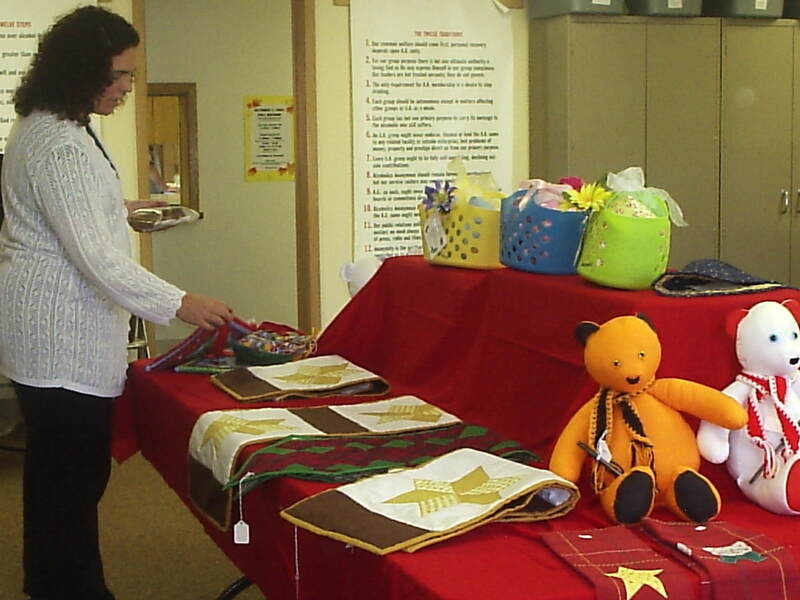 During Advent, Central sponsors a mitten tree. You are invited to bring mittens, hats and scarves to hang on the tree to be donated to the Salvation Army. There are also paper mittens with items to purchase.